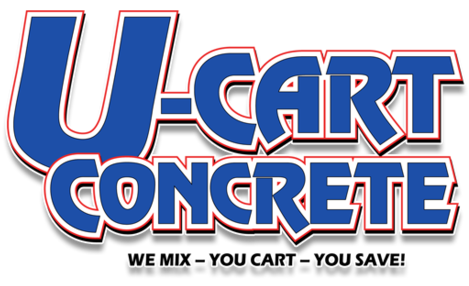 For any size job, we offer the convenience of U-Cart Ready Mix concrete! Our concrete is mixed into a dumping trailer you pull behind your pickup with a 2" ball, ready for you to dump on your jobsite and return after cleaning. With a trailer capacity of 1 1/4 yds. sold in 1/4 yd. increments, and the ability to mix 5 different strengths, we can match the material and the quantity to your job needs. No appointment is necessary so just come on in. The concrete trailers are free for 2 hours for each load purchased no matter the quantity.